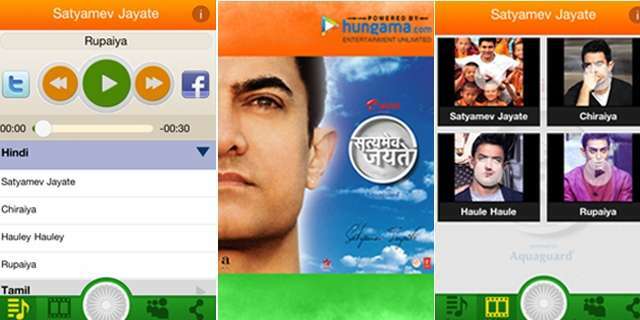 Satyamev Jayate app hits the Apple Market!!!!! Amir Khan’s latest serial has hit market and attracted attentions of people from all over India. Focusing this Apple launched latest ios app “Satyamev Jayate” which is on 17th ranking beating Instagram. With in few days since its launch it is categorized no. 1 in “Entertainment” field. This app allows you watch videos & stream songs related to TV show in different languages Telugu, Karnataka, Malayalam & Tamil. Also you can share your best episodes & songs on social media. Interested ones can like on twitter. With every updated serial you get latest songs on your app. Compatible with iPhone 4S, iPod touch, iPhone 3GS & iPad available on iTunes for $1.99 or Rs 110. Android version of app is also in works & going to be released soon. Developer: Hungama Digital Media Entertainment Ltd. Platform: version 4 or above. Any.do app with ios too!!!! Hot Android app Any.do available on Android has now made its way to IOS. Any.do for ios has preserved lots of Any.do’s features like to-do list management, gestures, auto predictive texting, voice-to text recognition and all others. The best part of Any-do is its voice-to-text recognition. You just have to add a task, it guess what you want to write. Its prediction & voice recognition are pretty good features that help you do things fast. You can also store task in your e-mail account & data can be stored in SD card for back up plan. 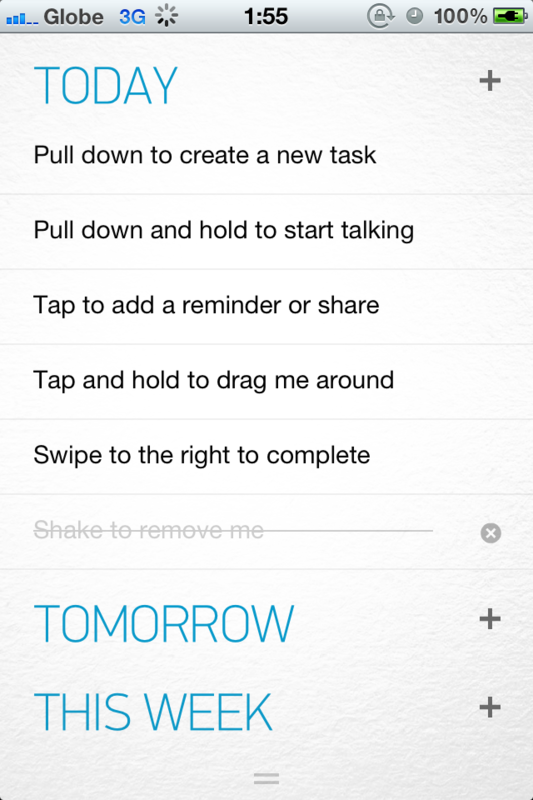 Beautifully designed for Ios to-do list help you manage your shopping lists. If you have a lot of tasks to do Any.do make it too simple. Any.do app is similar to Clear in function as well as form with same set of gestures. But Any.do has some extra gestures & features that made it special. *Organize tasks by date or folder. *Sorting by Drag & Drop. *Pull-down-and-hold gesture to activate task dictation. *Auto complete feature to remind you for domestic purchases. *Reminders, shares & notes can be prepared. You can download Any.DO for iPhone in the App Store now for free.